Is it a bike? Are they skis? Yes and yes…it’s both, with Sno-Go! 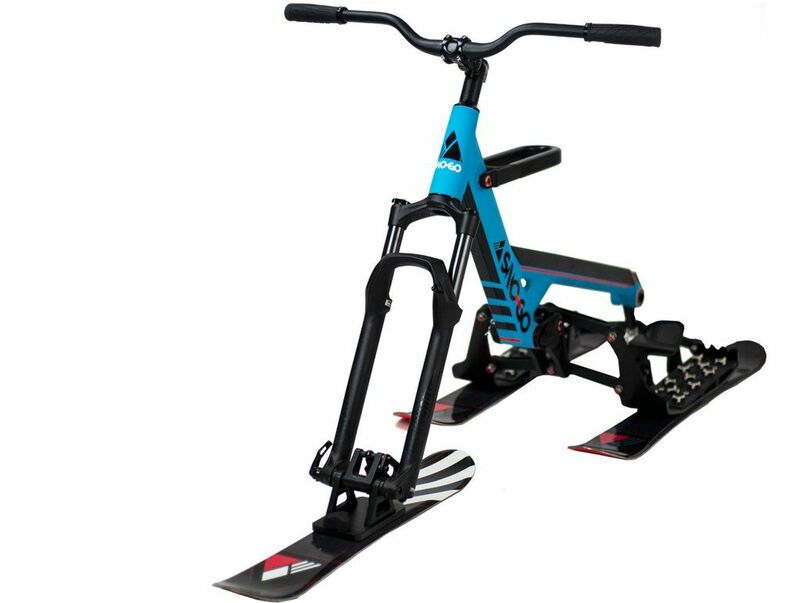 Sno-Go is similar to a bike, but instead of wheels, there are 3 skis. The 2 back skis always remain parallel while the front, single ski is connected to the handlebars, and you use it to help you carve and turn as you shift your weight from side to side. You wear boots with a thick rubber sole and adequate support like a snowboarding boot, and they rest on the back 2 skis. If you’re at a resort that allows ski bikes, there’s a convenient chairlift hook that is designed to offer a balanced, stable ride up the mountain. A quick release system permits you to break down the bike for compact and easy transport. Sno-Go is another way to get out and enjoy the snow!